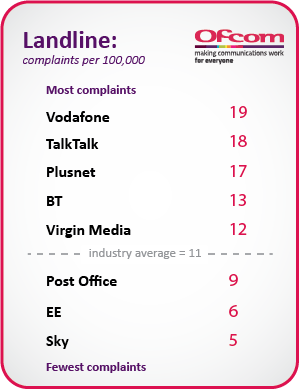 Ofcom has today published the latest league tables on the complaints we receive about the UK’s major providers of telecoms and pay-TV services. 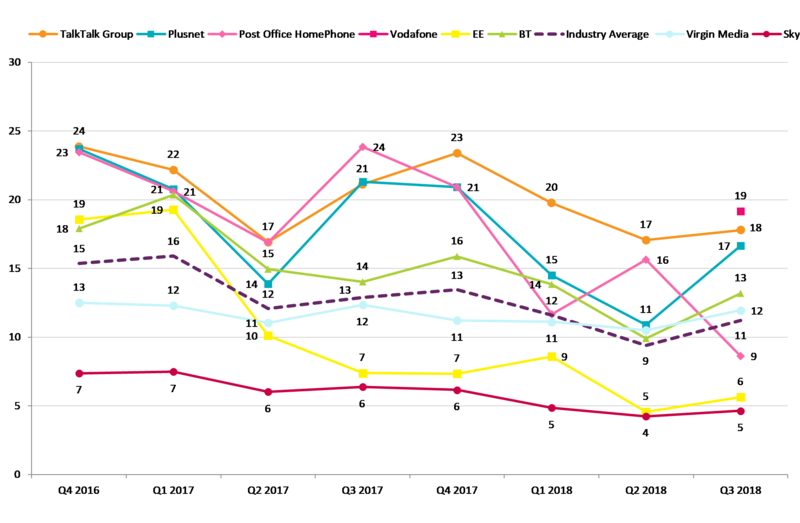 The quarterly report reveals the number of complaints made to Ofcom, from July to September last year, about providers with a market share over 1.5% in the home broadband, landline telephone, pay-monthly mobile and pay-TV markets. 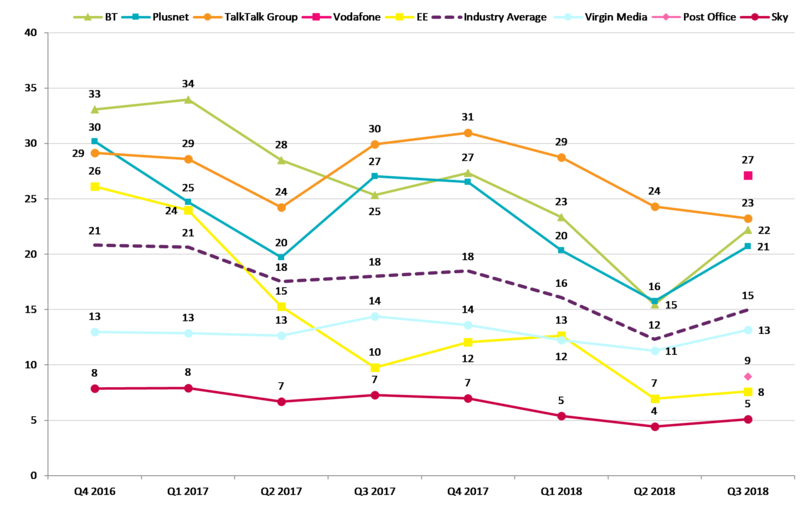 For the first time, Vodafone has met this benchmark for inclusion on broadband and landline. 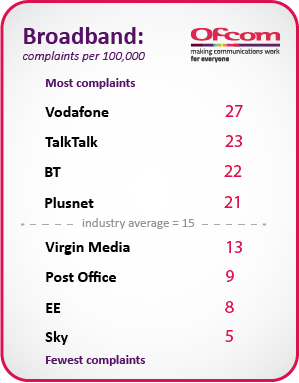 The company is the most complained-about provider for both these services. 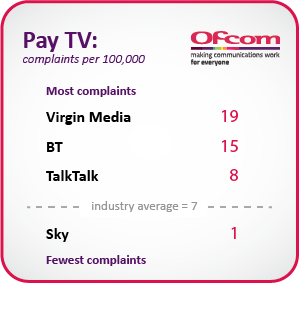 Virgin Media generated the most complaints for both pay-monthly mobile and pay-TV services. 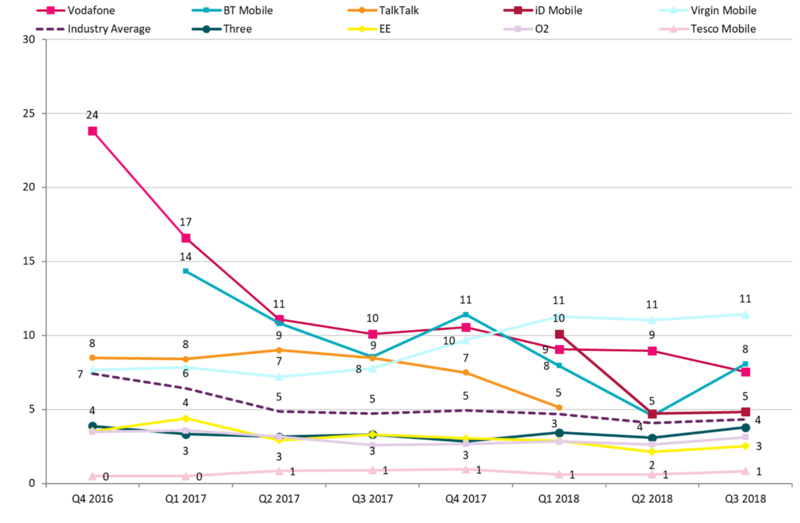 The company’s main complaint drivers were contract issues and complaints handling. 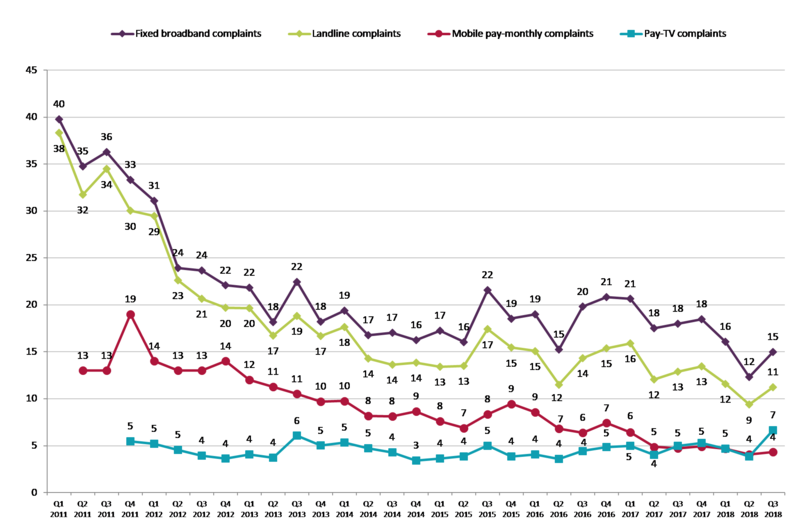 Complaints information helps people to consider service quality when they are shopping around for a new provider, and incentivises operators to improve their performance. 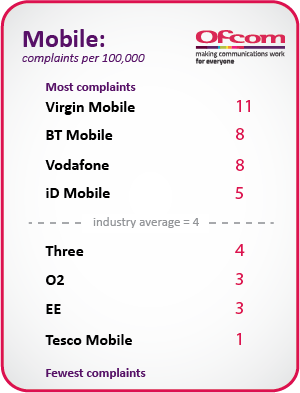 Our service quality hub offers further information on choosing the best provider. 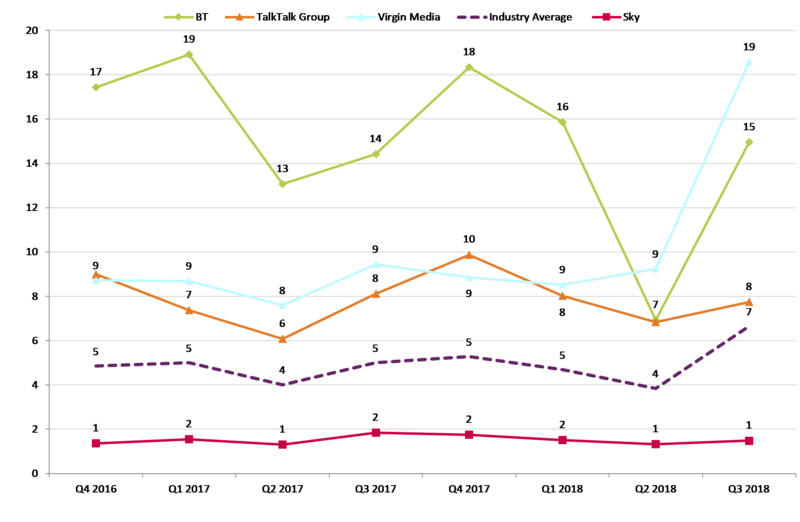 The actual measurable difference between certain landline complaints figures per 100,000 subscribers is less than one, so the following results should be considered comparable: 1) Virgin Media and the industry average; 2) EE and Sky.